A collaboration with New Zealand based designer (and friend!) 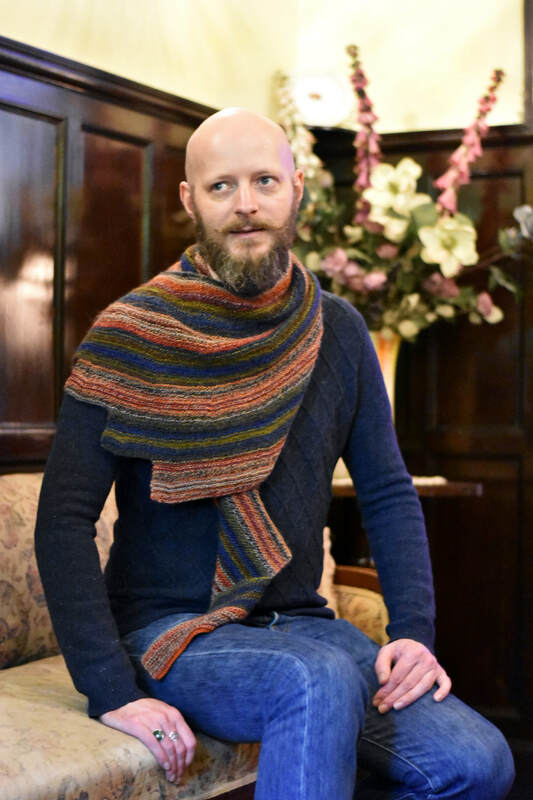 Kurt Payne, the Inverness wrap was crafted to make use of two skeins of yarn, which may or may not be related. As each section is completed, the stripe sections lengthen and shift to the side, creating a fun, curved silhouette. Although easy to memorize, the pattern includes a worksheet/checklist to help keep you on track as you travel through the project. Needles | Size 6 (4.00 mm) circular. Adjust needle size if necessary to obtain the correct gauge. ​Gauge | 22 sts and 44 rows = 4" (10 cm) in garter stitch, blocked.